CSN Stores has offered me an item to review and I'm taking it! They have over 200 online stores where you can find everything from stylish handbags, to cookware, to even a new twin bed set for the kids room. I've ordered from them before and they have super fast shipping and great products. Wouldn't my favorite soup look great in this! 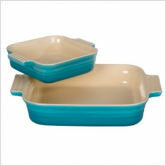 Or maybe this set to go with the 9 x 13 bake dish I got from them a couple months ago. Or maybe these pretty bowls. 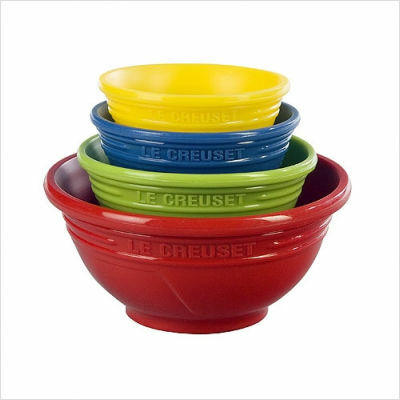 Can you tell I have a thing for Le Creuset???? When I did my review, I chose the stock pot then I purchased the 2nd set you show. 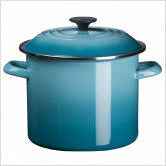 I love the turquoise and I use the stock pot all the time!